Life can’t get any bigger for SpongeBob - you can bank on it! Take your favorite Bottomite to new heights when you build a huge SpongeBob that stands over 10 inches tall and doubles as a working coin bank! 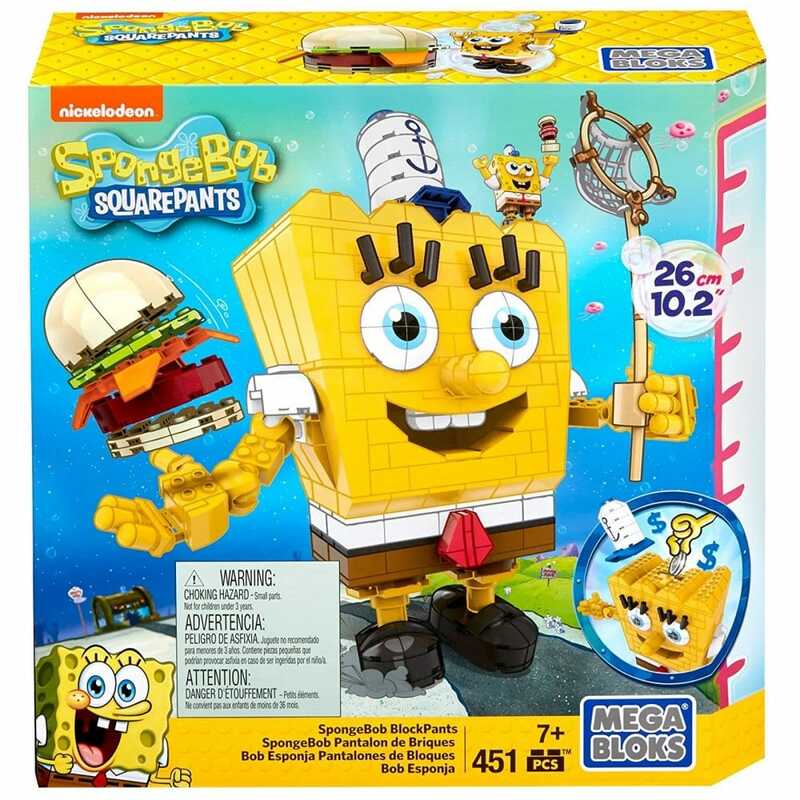 The 451 piece set features a giant SpongeBob build with poseable arms, changeable expressions, a big Krabby Patty, oversized hat and a huge net. It also includes a matching buildable SpongeBob micro action figure with fishing net, too!